San Bernardino, California, Mayor Carey Davis said on Thursday said he has spoken with U.S. President Barack Obama after a shooting that killed 14 people and wounded 17 others. "Thank you for the outpouring of support from around the world and @POTUS for the heartfelt conversation," Davis said in a post on Twitter, using an acronym to refer to the president. ReutersSyed Rizwan Farook, one of the two suspects in the mass shooting that killed 14 people and wounded 17 others in Southern California on Wednesday, was registered on at least two online dating sites. 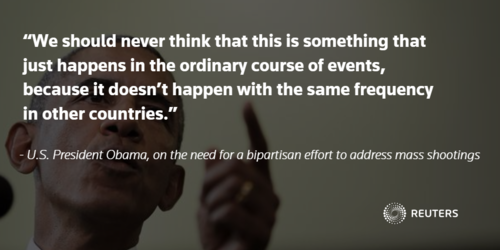 White House says members of Obama's national security team will attend statement. White House says President Obama will make a statement from the oval office shortly. 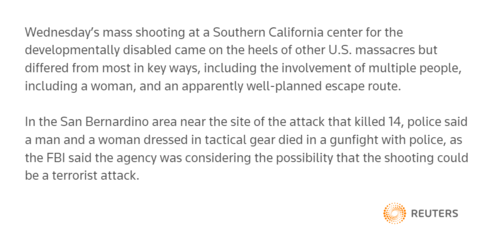 ReutersWednesday's mass shooting at a Southern California center for the developmentally disabled came on the heels of other U.S. massacres but differed from most in key ways, including the involvement of multiple people, including a woman, and an apparently well-planned escape route. 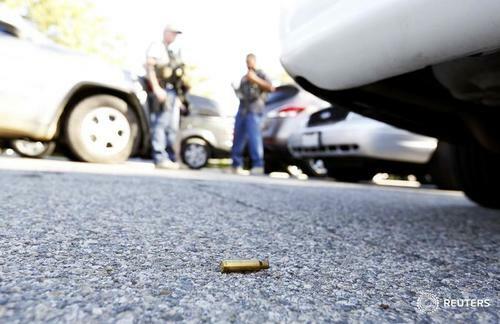 A relative of the suspected shooters in the deadly San Bernadino attack says he's can't believe what's happened. 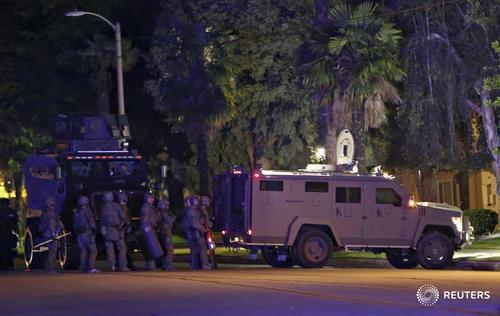 Republican presidential candidate Ted Cruz says attack in California underscores "we are at a time of war." 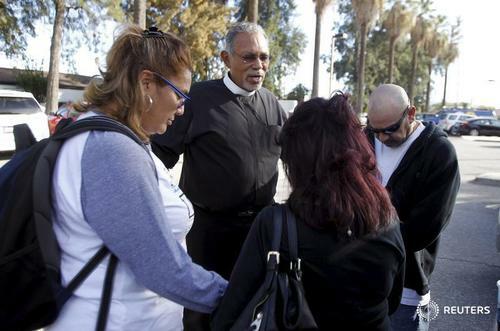 WASHINGTON, Dec 3 (Reuters) - U.S. Attorney General Loretta Lynch on Thursday said violence like the San Bernardino, California, shooting on Wednesday that killed 14 people and wounded 17 others has no place in the United States, adding that federal officials are assisting local law enforcement their probe. 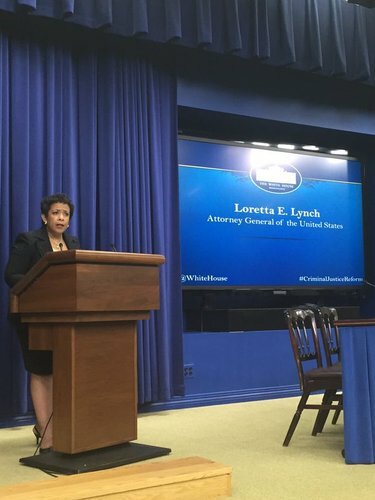 "Whatever the results of this investigation... one thing is clear: violence like this has no place in this country," Lynch said, speaking at a separate White House event on incarceration and poverty. Lynch says has no update yet, local authorities will provide update on shooting at later time. 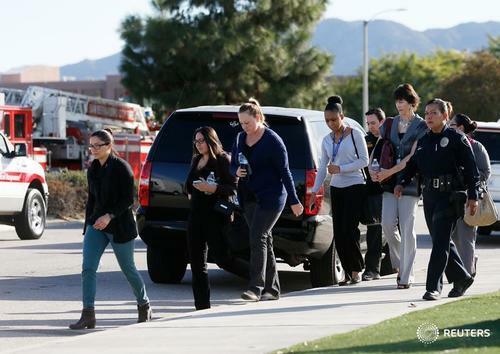 Attorney General Lynch says whatever investigation of San Bernardino shooting finds, such violence has no place in the U.S.
SAN BERNARDINO, Calif., Dec 3 (Reuters) - On Wednesday morning, Syed Rizwan Farook, 28, and Tashfeen Malik, 27, dropped off their six-month-old baby with Farook's mother, saying they were going to a doctor's appointment. 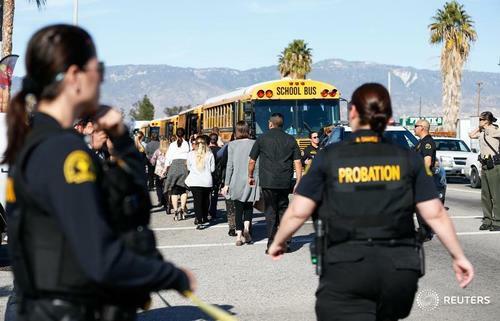 By noon, according to police, the couple had donned assault clothing, armed themselves with rifles and stormed a holiday party attended by San Bernardino County employees, killing 14 people and wounding 17 others. Before sunset, after a shootout with police, they were both dead, leaving a grieving community with few clues to puzzle out the motive for the carnage. 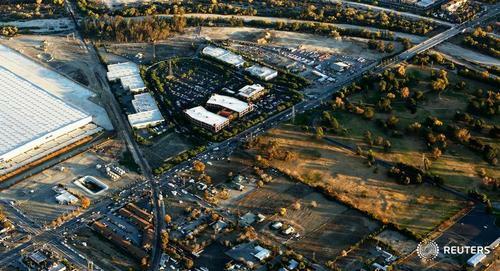 Syed Farook, born in the United States, worked as an environmental health specialist for San Bernardino County, inspecting restaurants for health violations, according to authorities and a website that tracks public employees. As part of his job, he also inspected public pools at locations including apartment and senior housing complexes and country clubs. Records show him performing these duties as recently as July. 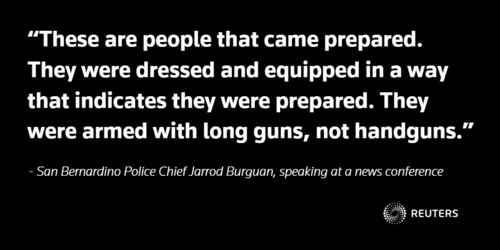 A man and woman armed with assault-style rifles opened fire on the holiday party of his co-workers in Southern California, killing 14 people and wounding 17 others, and then were slain hours later in a shootout with police, authorities said. 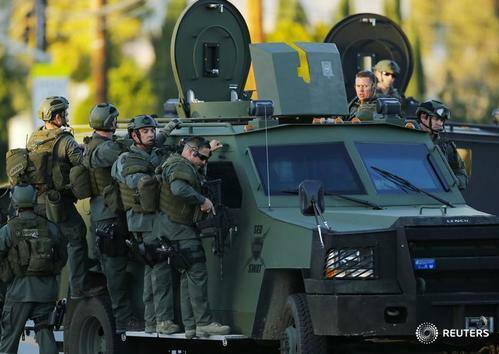 The two suspects were identified as Syed Rizwan Farook, 28, and Tashfeen Malik, 27, who San Bernardino Police Chief Jarrod Burguan said were in a relationship, possibly married or engaged. He said they were believed to be the only shooters involved in an attack that required some degree of planning. 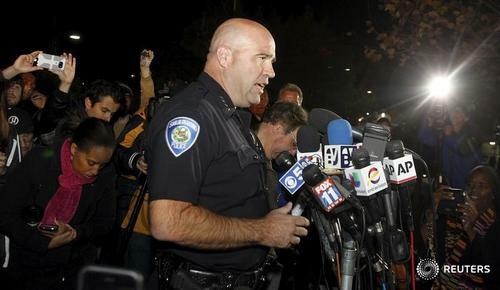 While the motive remained unclear, Burguan said, "We have not ruled out terrorism." Farook was U.S. born, while Malik's nationality was still undetermined. 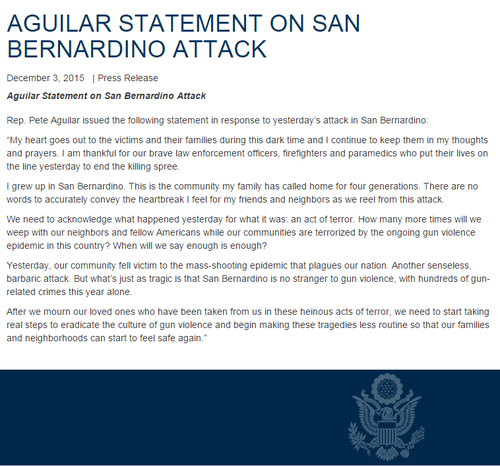 UPDATE: The guns used in the San Bernardino shooting were bought legally in the United States - AP, citing ATF spokeswoman. AG @LorettaLynch speaking @9:15, convening on Incarceration and Poverty, will address SB shootings. View Live: https://t.co/XjDOeaXJmq. 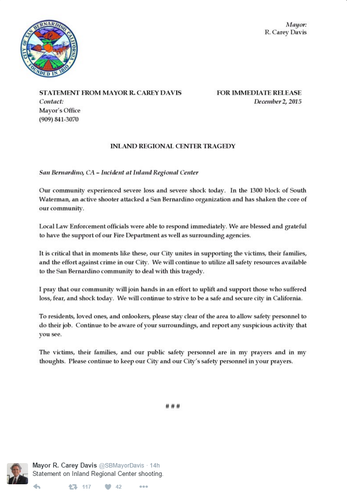 Mayor Davis, in CBS interview, says still no motive in shootings, calls it a senseless crime against innocent people. San Bernardino mayor, when asked about possible link of shootings to terrorism, says investigation is still ongoing - NBC interview. 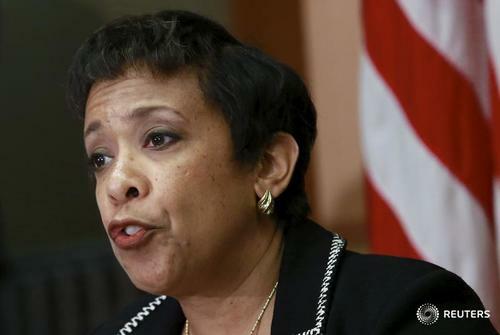 U.S. Attorney General Lunch will address San Bernardino shootings at 9.15 event - Justice Department tweet. The coroner has been at the #SBShooting sbshoscene for a bit now. Congratulations on the GREAT job done by POLICE and law enforcement on the California shootings. Give credit where credit is due. Heading to Manassas, Virginia, for a rally. Will have a moment of silence for the victims of the California shootings. So sad! Is it work? Is it rage-related? Is it mental illness? Is it extreme ideology? We just don't know." 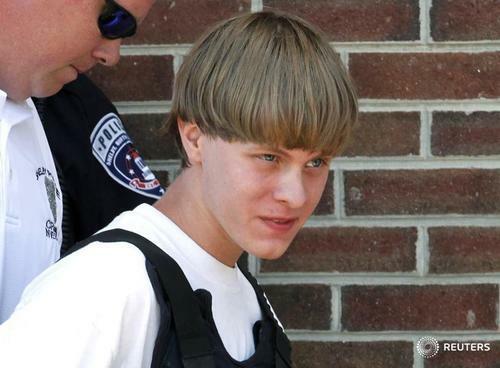 Police lead suspected shooter Dylann Roof into the courthouse in Shelby, North Carolina after the shootings in a Charleston church, South Carolina, June 18, 2015. VIDEO: Police search a house associated with the family of a man implicated in the San Bernadino shooting in which at least 14 died. Paul Chapman reports. 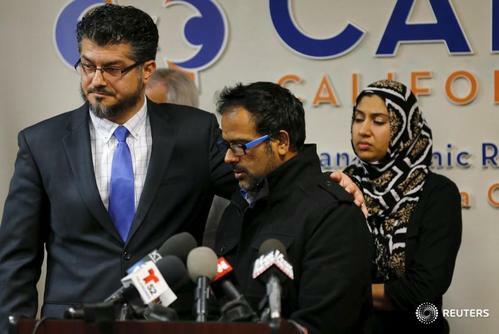 At a news conference called by the Los Angeles area chapter of the Muslim advocacy group Council on American-Islamic Relations (CAIR), the brother-in-law of Farook, Farhan Khan, said he was bewildered by the news. Why would he do that? Why would he do something like this? I have absolutely no idea. I am in shock myself." 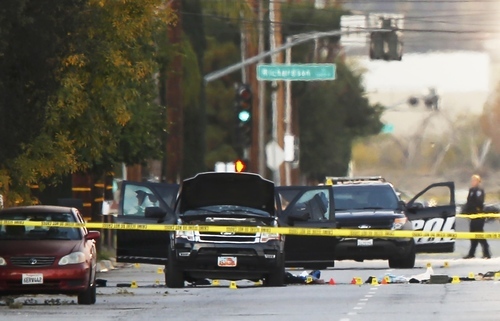 -- San Bernardino Police Chief Jarrod Burguan said he did not know whether suspects Rizwan Farook and Tashfeen Malik were wed, but officials with the Council on American-Islamic Relations (CAIR) who had been in touch with the family said they were husband and wife. -- Co-workers said that he had traveled to Saudi Arabia and returned with his new wife whom he had met online. 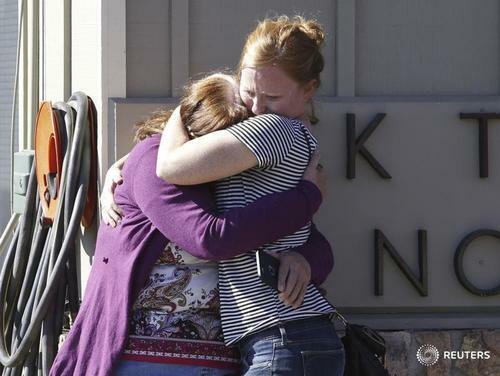 -- Wednesday's carnage amplified concerns about gun violence and security in the wake of a deadly rampage on a Planned Parenthood clinic in Colorado Springs last week and the attacks in Paris three weeks ago by Islamic State militants that killed 130 people. 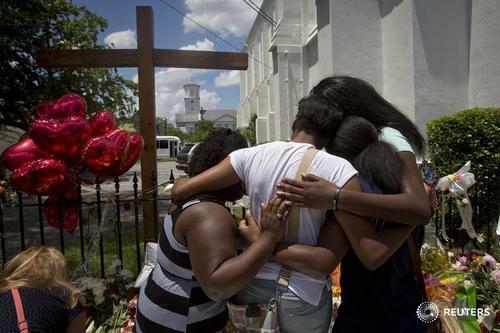 -- So far in 2015, there have been more than 350 shootings in which four or more people were wounded or killed, according to the crowd-sourced website 'shootingtracker.com', which keeps a running tally of U.S. gun violence. FACTBOX: Major shootings in the U.S.
April 16, 2007 - A gunman slaughters 32 people and kills himself at Virginia Tech, a university in Blacksburg, Virginia. 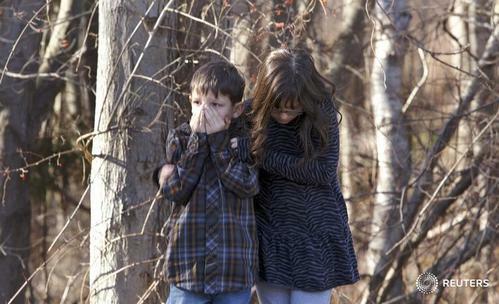 Dec. 14, 2012 - A gunman kills 20 children and six adults and himself at Sandy Hook Elementary School in Newtown, Connecticut. April 20, 1999 - Two heavily armed teenagers go on a rampage at Columbine High School in Littleton, Colorado, shooting 12 students and a teacher to death and wounding more than 20 others before taking their own lives. 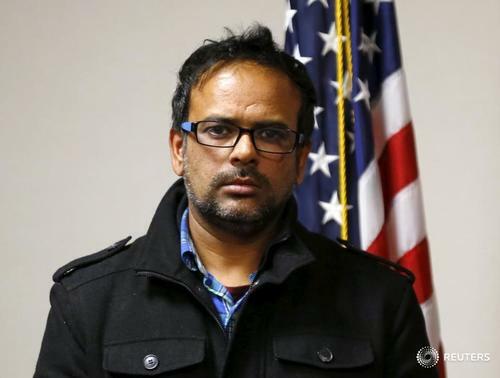 April 3, 2009 - A Vietnamese immigrant opens fire at an immigrant services center in Binghamton, New York, killing 13 people and wounding four, before killing himself. 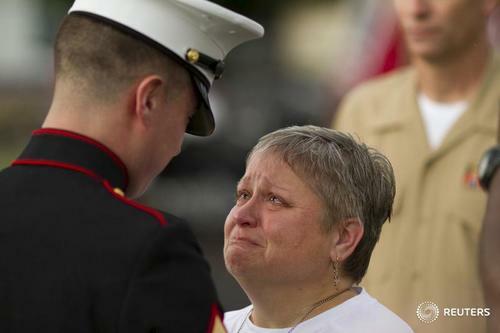 Nov. 5, 2009 - A gunman opens fire at Fort Hood, a U.S. Army base in Texas, killing 13 people and wounding 32. 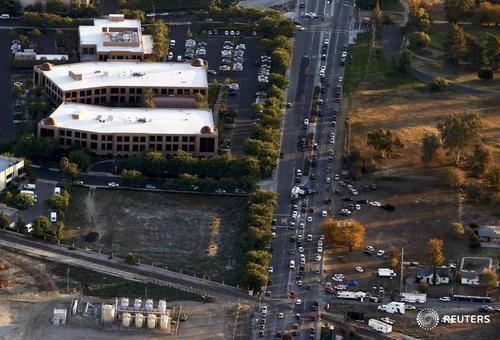 The gunman, an Army major and psychiatrist, was sentenced to death for the rampage. 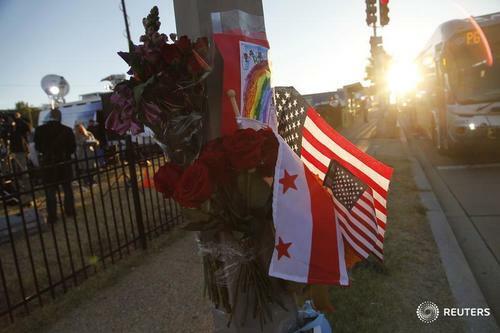 Sept. 16, 2013 - A former Navy reservist working as a government contractor kills 12 people at the Washington Navy Yard. 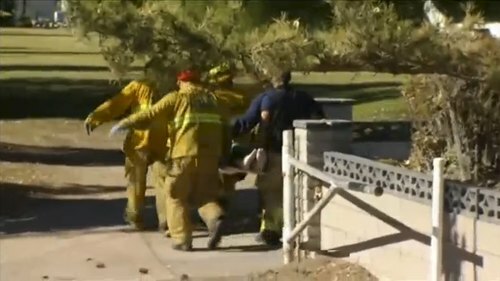 Eight people are injured. 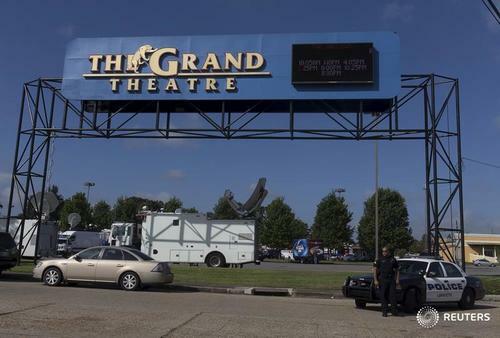 The gunman was killed by police. July 20, 2012 - A masked gunman kills 12 people and wounds 70 when he opens fire on moviegoers at a midnight premiere of the Batman film "The Dark Knight Rises" in Aurora, a Denver suburb. A former graduate student is sentenced to life in prison for the rampage.